Groupon has a new promo code! 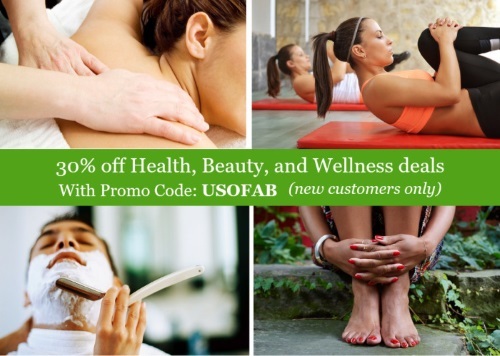 Save 30% off health, beauty and wellness deals! Enter the promo code USOFAB at checkout. Offer is valid until April 10, 2016. This particular offer is for new members only. If you're interested in other categories, and you're a new member, you can use the promo code WELCOME to get $10 off any deal ($25 or more) off your first purchase.